China Wenzhou Changlong Fuel dispenser Manufacture Co., Ltd. Guangzhou Office is a major manufacturer of various fuel dispensers and relevant spare parts with exporting experience of almost 20 years. The spare parts include fuel pump, flow meter, fuel nozzle, motor, filter, swivel, electronic counter, measuring pail, mini computer, etc. 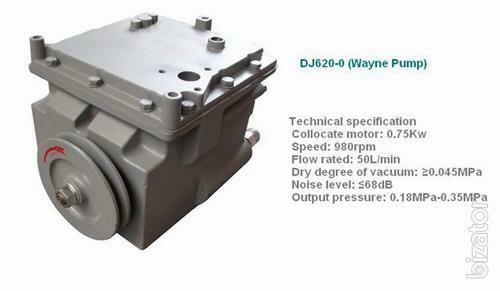 Basically, there’re about 15 series of fuel dispensers divided by their exclusive additional function based on the standard configuration, which includes Wayne Series, Bennett Series, Vane pump series, Tokheim Series, Nuovo Pignone Series, Truck Carrying Series, etc. Most importantly, the quality is guaranteed. We produce our fuel dispenser strictly following the international rules, we have gained the ISO9001:2000, QUALITY MANAGEMENT SYSTEM CERTIFICATION, CERTIFICATION OF CONFORMITY, etc. Besides, the color, size and design are customized! We sincerely hope to work with customers both at home and abroad! And our esteemed customers are more than welcomed to visit our factory! We mainly manufacture different kinds of fuel dispensers,such as Vane Pump Series,Bennett Series,Wayne Series,Tokheim Series,IC Card Fuel dispenser series,Truck carrying series...etc., also we produce spare parts such as oil pumps,nozzle,nozzle botter, flow meter,motor,pulse sensor,valves...etc.